Nokia to disappear in 2012? I remember reading an article exactly a year ago from 24/7 Wall Str. about how Nokia could be one of the 10 brands to disappear in 2012. The 10 disappearing brands include… Sony Pictures, A&W, SAAB, American Apparel, Sears, Sony Ericsson, Kellogg corn pops, MySpace, Soap Opera Digest and Nokia! I think 24/7 Wall St. were right 2 out of 10 so far, I mean Sony Ericsson is now just “Sony Mobile”, so technically that brand name is gone, thought the company still very much exists. then MySpace, but to be fair, MySpace disappeared before 2012, heck they were gone before the start of 2010! A&W makers of all American food are still alive, SAAB has gone either they even have a sleek concept car called the SAAB Phoenix, The last time I was at a mall I saw American Apparels and Sears stores there, so as far as I know they are still kicking, Soap opera digest, well I have no clue what that is and then there’s Kellog’s Corn Pops which is still in stores and is still drank with milk! and then there’s Nokia, ironically the situation with Nokia is quite the opposite, they had disappeared in the US prior to 2012, and in 2012 instead of disappearing totally, they did a U-turn and their presence can now be felt in the US! with the first LTE enabled windows phone, the Lumia 900, the 4.3inch screen and 8MP Carl Zeiss lens optics and its beautifully made uni-body which comes in 4 different colors. Though, some might argue that it’s only half of 2012 now, I don’t think Nokia has any plans of disappearing soon (certainly not this year). Which makes the rumor that Facebook will be buying Nokia all the more utterly ridiculous, surely Facebook will disappear long before Nokia does and it all comes down to what Microsoft has to offer regarding its mobile OS (WP). Windows8/WP8 fully launches later this year and though there is no official press release from either companies, much is expected from the new OS, just like the picture above, there will be seamless connectivity between Windows Phones, Tablets and PCs, fully integration of Skype, new office/business mobile solutions (for businesses), an ever growing marketplace, and the ability for developers to develop apps across all devices (PC, tablets and Phones) with ease like never before. 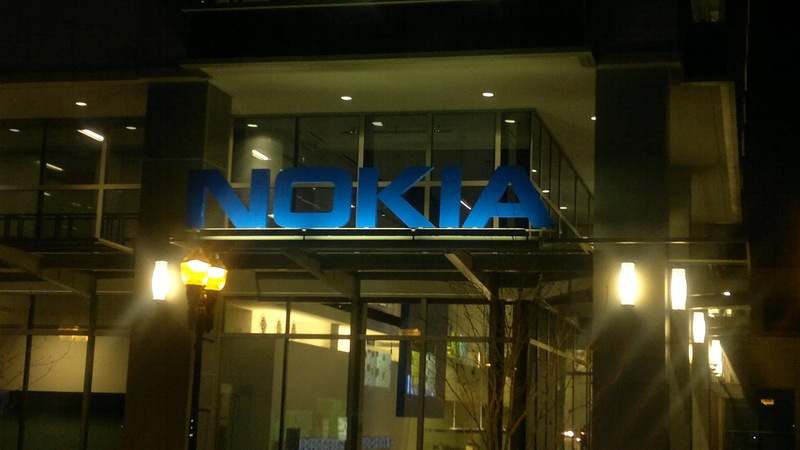 What does Windows Phone OS success mean for Nokia? Many experts have already predicted the success of windows phone and for good reason, but so far its only Nokia who is placing a bet on the not-so-popular OS, as you know success has many parents, while failure is an orphan, failure has promised to go to rehab and clean up its act so Nokia adopted “failure” with the hope that failure will become a success. Nokia will need to come up with better ways of making sure they get all the credit /profit for when the WP8 becomes a HIT! So will Nokia be disappearing before the end of 2012? Only if the Mayan calendar turns out to be true!